Extra High Loft polyfwadding is made with use of Hollow Conjugate Fibre. We get more Loft in Less GSM with use of Hollow Conjugate Fibres. 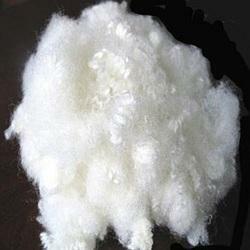 We use 1.5D, 3D, 6D, 7D, 12D & 15D Polyester Fibre for making polyfill in various finsihes. Applications: Soft Toys, Duvets, Made-ups, Garments, etc. As an affluent name of this domain, we hold expertise in providing high quality Stockinette fabric. - It is woven with multifilament synthetic fiber, with strong strength, not easy to be blocked, and free from yarn break. - Multifilament filter cloth with double-layer weaving method, according to requirement for client. We are the leading Importer of Synthetic Waste in Haryana. Our range of Synthetic Waste is inclusive of Non-Woven Fabric waste (Paper Chindi) and Handmade Rugs. We import these Synthetic Wastes from countries such as Europe and USA. Further, we are associated with the reputed vendors in the above countries to meet the diverse needs of the clients. Vishal Poly Fibres Pvt. 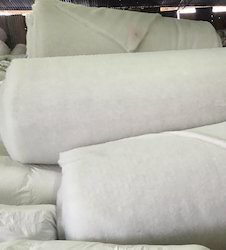 Ltd.
Viscose Staple Fibre Viscose Staple Fiber (VSF), a natural, bio-degradable fiber with characteristics somewhat similar to cotton is obtained from wood pulp or cotton pulp. As an extremely versatile and easily blendable fiber. The Viscose Fiber is a synthetic fiber made from the thin filaments of regenerated cellulose and rayon. We manufacture an exhaustive range of belts for industrial use. These belts are made from finest quality natural and synthetic fibers. In addition to this, these are used for base application and cutting the raw belt separately to fulfill the requirements. The main bed length of our machines is 1.8 mtr and these are available with a head system along with motorized and center stock.